Bjorn Jalving is executive vice president at Kongsberg Marine, Subsea division. Hydro International asked him (and other leaders in the business) 5 questions. We systematically work to understand and apply today’s accelerating and exciting technology changes into our products and solutions. At the same time, we consciously define our core areas of expertise and differentiation, where we invest to be the technology leader through our own efforts and collaboration. We collaborate with companies, universities and research institutes. Key to Kongsberg is our global system of companies that work closely with our customers and partners in their markets. Being local and being close to our customers is essential in understanding societal changes and the effects on markets, customers and ourselves. To bring it together, we foster a culture of communication, collaboration, innovation, strategy development and change. We invest heavily in continuous improvement in resolution, accuracy and coverage in our mapping instruments. 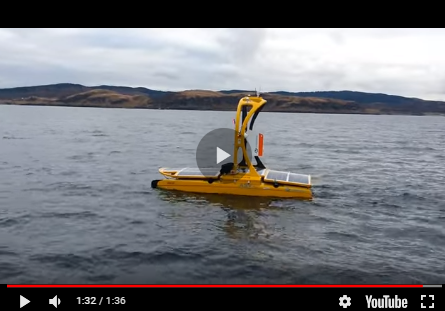 We believe we have just seen the start of marine robotics and autonomy providing much more data at significantly lower cost. Connectivity and the internet of things will also change hydrography, and stimulate development of more user-friendly solutions. For Kongsberg it is a key strategy to support open data formats and architectures, and the development of these. To provide leading technology and solutions for detailed and cost-effective mapping, and be a long-term, reliable partner supporting our customers and their operations. We think it is an exciting market. Understanding and engagement in coastal and ocean mapping has become global. The ambitions are growing, for instance, the Nippon Foundation – General Bathymetric Chart of the Oceans (NF-GEBCO) Forum for the Future Ocean Floor Mapping endorsed the vision of a high-resolution global digital map this year. We see increasing interest in simultaneous mapping operations for bathymetry, seabed classification marine life and oceanography. We believe the need for hydrography and safe navigation on the oceans, in coastal areas, ports harbours and waterways will continue to grow. Security and environmental assessment for naval operations will remain important in today’s world. While some markets will experience downturns, as we now see in oil and gas, increased need for mapping will arise within marine research, renewables, aqua culture, marine minerals and environmental monitoring.